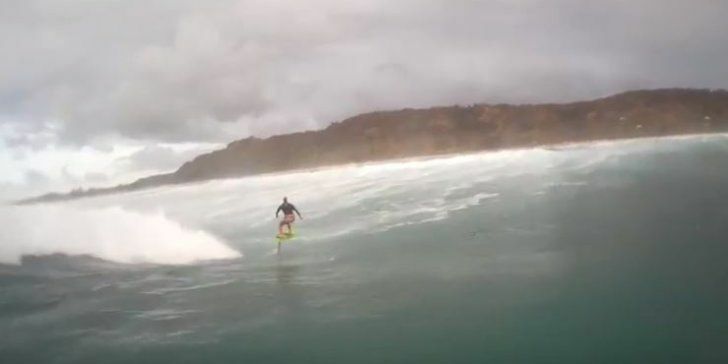 Konrad Bright and Legendary Paddler and Big Wave Rider, Jamie Mitchell sent us this awesome video of a tow in foiling session on the North Shore of Oahu. They are getting fast, smooth and long rides on some big lined up walls, gotta love it! The board is a 6′ custom foil board shaped by Marlon Lewis and they are using a GoFoil Kai Foil.